JUVÉDERM® Injectable Gel can instantly restore volume by filling in facial wrinkles and folds, leaving you with younger looking skin *. JUVÉDERM® is a gel made from hyaluronic acid, which is a naturally occurring substance in your skin that helps hydrate and add volume. JUVÉDERM® is the first FDA-approved hyaluronic acid dermal filler proven to be safe and effective for all skin types and colors. This treatment requires no downtime and the results are immediate and last up to a year (see source) *. Restylane® is a safe, natural, FDA-approved cosmetic dermal filler that can restore volume and fullness to the skin by filling facial wrinkles and folds. It can also be used to enhance lips. Hyaluronic acid is a substance that naturally occurs in your skin, yet diminishes over time. This increases the chance for wrinkles and folds to appear. Restylane® is made from a non-animal based form of hyaluronic acid. There is no downtime, results are seen immediately and last between 6 and 12 months. Radiesse® is a cosmetic filler, FDA-approved to treat wrinkles and folds around the nose and mouth by restoring volume to the skin. Radiesse® is made of unique calcium-based microspheres suspended in a water-based gel that stimulate your body’s natural collagen production. This gives you a more natural, youthful look. Radiesse® is used for longer-lasting results, lasting up to a year or more *. The treatment is quick and requires no downtime. 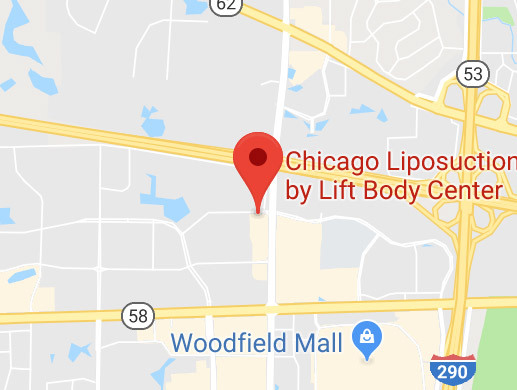 Come in and let the experts at The Chicago Liposuction by Lift Body Center help you chose the best cosmetic filler for your desired result.